CECILWARE Fryer Parts, Grill Parts, Stove Parts, and more! For Cecilware Grill BEFORE 1/86: AG-(24,36,48). Cecilware Lower Coal Grate, 8 1/2" x 11 3/4"
Cecilware Top Grate, 5 1/2" x 15 1/4"
Fits Cecilware Fryer Models: FMP-30, FMP-40, FMP-65, FMP-403, FMS-30, FMS-40, FMS-65. 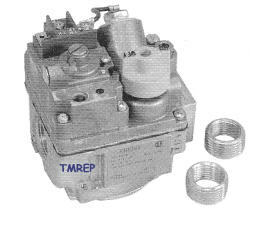 Cecilware Thermostat, TYPE SL, TEMP 200-375, MOUNT 1 , D-STEM FLAT RIGHT. 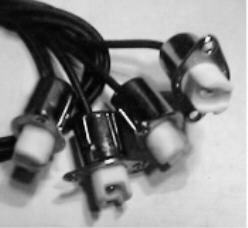 Bulb 5/16" X 7-9/16" Nickel , CAP 36"
Fits Models: EL120, EL250, EL270, EL310, EL410, EL600, EL750, EL900, ELT500. Cecilware Left Hand Hook, Fry Basket, 10 3/4" x 3 3/8" x 3 3/4"
Cecilware Right Hand Hook, Fry Basket, 10 3/4" x 3 3/8" x 3 3/4"
Cecilware SC-6, FUSE, 600V, 6 AMP, TIME LAG, 13/32" X 1 5/16"
Fuses 13/32" X 1-5/16" Fit In This Holder. Quartz Element, 34", 120V, 750W, 1PH, 33 15/16", TERMINALS 1/4" MALE TAB ENDS. Bottom Has Centered Mounting Stud, 1/4-20 Threads and Offset Pin. 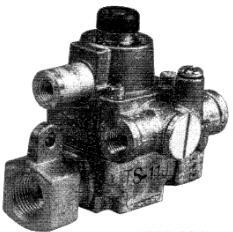 1900 Series Heavy Duty Thermocouple, 18 " long. 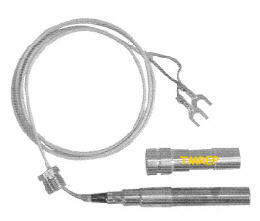 1900 Series Heavy Duty Thermocouple, 24" LONG.